this book has everything you need to know to end your Thyroid problems. Top secret nutritional solutions. Discover simple DIETARY changes you can make EASILY to improve your blood test results and minimize symptoms. Comprehensive blood test data. A complete and comprehensive list of ALL the blood tests you need to take in order to know get the data you need. Blood test INTERPRETATION. How to interpret your blood test data to assess where dietary changes need to be made, if any. All about advanced tests. These next level tests can make a HUGE difference in your results. Supplement secrets. Which supplements you need to take in order to achieve maximum results in the least amount of time. Simple, step-by-step instructions to a complete Thyroid treatment. I outline literally EVERYTHING you need to do to revamp your thyroid health from start to finish, in meticulous and easy-to-follow detail. How to OBLITERATE thyroid symptoms like weight gain, fatigue, cold hands, insomnia, low libido, anxiety. Treat these symptoms NATURALLY, so they rarely affect you, if at all. 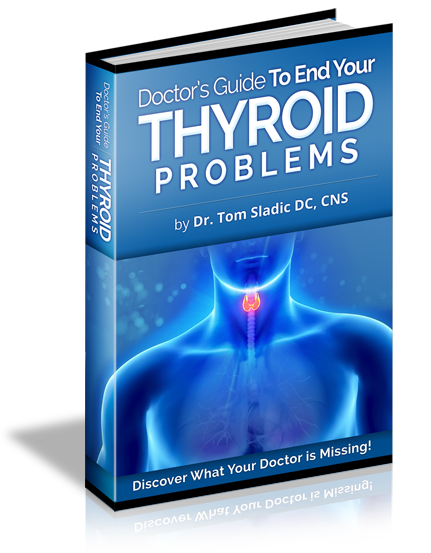 It’s all contained inside Doctor’s Guide To End Your Thyroid Problems. Sign Up For FREE Instant Access Now!